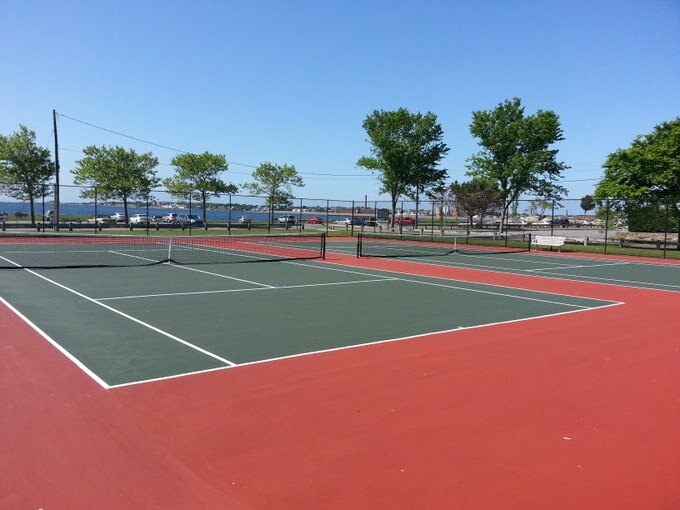 Located at 1 Green Street in Fairhaven, MA, the two tennis courts at the Fort Phoenix State Beach have the most picturesque view of any of the 12 courts in Fairhaven. During the hot summer these courts are a popular setting for morning matches, because there is usually a nice breeze coming off of the ocean that doesn't affect play but does offer some relief from the heat. The courts are maintained by Massachusetts Department of Natural Resources, and were completely repaired and resurfaced in May 2014. The FTA is extremely thankful for the efforts extended by our State Representative, Bill Straus, for his assistance in getting this project accomplished by the D.N.R.